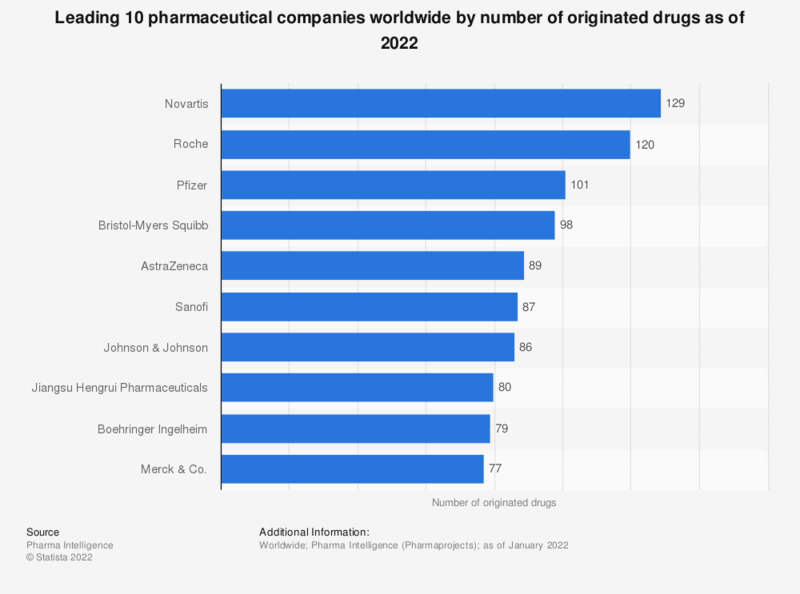 This statistic shows the top 10 pharmaceutical companies worldwide in 2019, by projected number of originated drugs. For that year, projections said there will be 131 such drugs from Swiss-based company Novartis. * Projected as of January 2019. Everything On "Eli Lilly" in One Document: Edited and Divided into Handy Chapters. Including Detailed References. Manufacturer prices for brand name prescription drugs in the U.S.